Chartres in Saffron Walden, Radwinter School Maze Day and more! 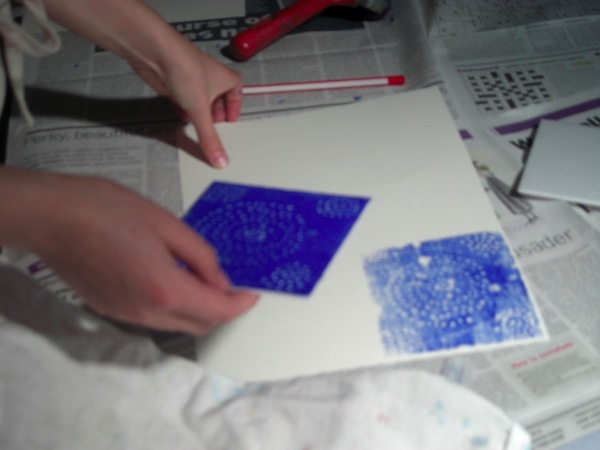 Chartres Labyrinth Walk: on Saturday 17th August I will be facilitating an open labyrinth walk of a full sized canvas Chartres labyrinth, on temporary loan from the University of Kent. You will find me in the Friends Meeting House in Saffron Walden between 10 and 4. The labyrinth walk is part of a larger event, the Saffron Walden Maze Festival, which will be celebrating the town’s unique heritage of the wonderful – and very large – turf labyrinth on the Common, and the recently restored Victorian hedge maze (the sort you can get lost in!) in Bridge End Gardens. 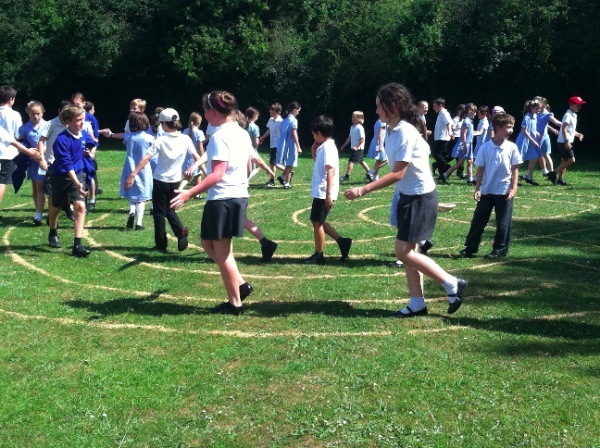 There are all kinds of labyrinth and maze related activities planned between Friday 16th and Monday 19th August. For more details, keep an eye on the maze festival website, www.saffronwaldenmazefestival.com.uk and do come and join in. It is sure to be an excellent weekend. Looking a bit further ahead, there will be some labyrinth-related happenings during Addenbrooke’s Hospital’s ‘Mental Health Resilience Week’, between 7th and 12th October. These will include the cloth ‘pebble’ labyrinth in the Chapel (please email to check precise times) some beautiful, locally-made finger labyrinths; and a walkable labyrinth on a grander scale outdoors. 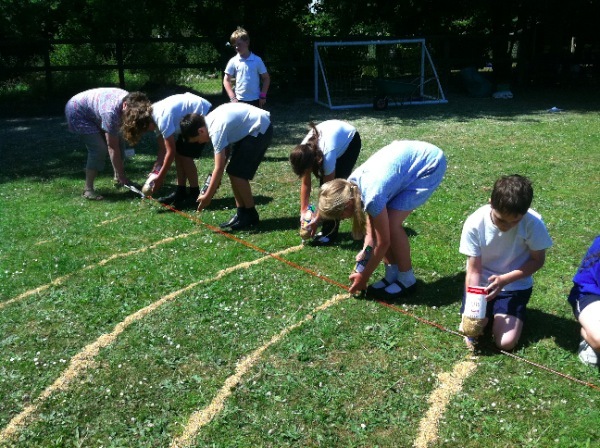 Finally, here are some pictures from the recent Maze Day at Radwinter Primary School, near Saffron Walden. We all had a very busy day with some lovely quiet, reflective moments too. 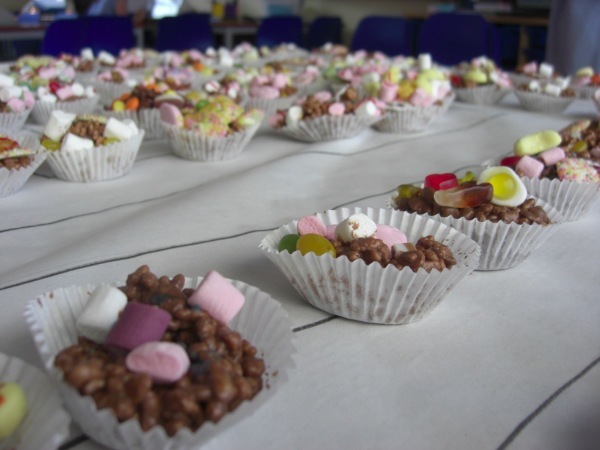 Thanks to Emma Horton for having the idea, and to Mrs Hockley and all the staff for making it happen. 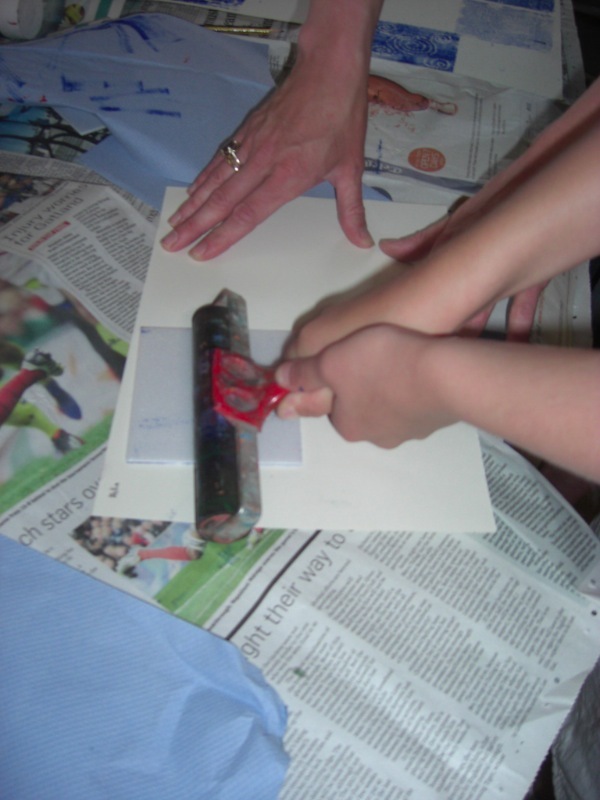 Photos and examples of the pupils’ fantastic, creative work will be on display in the Court House, Saffron Walden, during the Maze Festival weekend – where you will also find interactive games for all ages and the ‘giant tilting maze’. 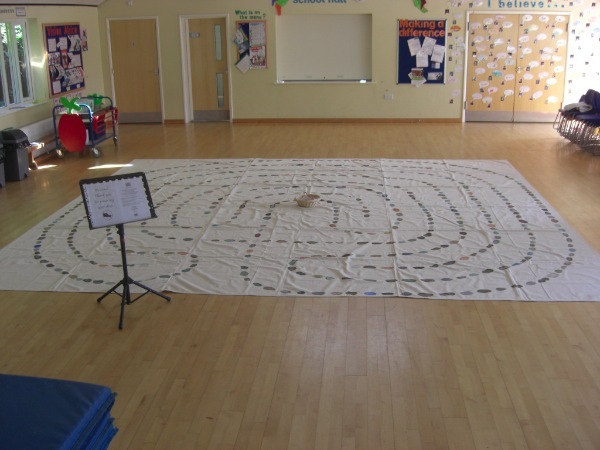 If you would like to have a similar labyrinth-themed day at your local school or other community or group, do contact me for availability, information and ideas.